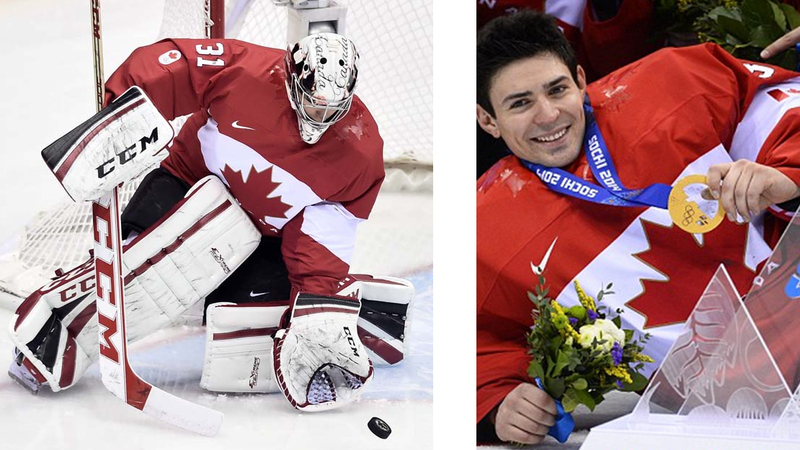 At the 2014 Sochi Winter Olympics, Carey Price got a chance to play behind one of the best defensive teams ever assembled – and the results were astonishing. 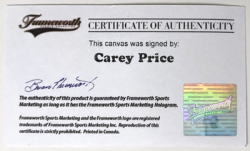 The undefeated teams of Sweden and United States ran into Canada’s defensive wall with Carey steamrolling to win the Gold Medal. His efforts also earned him the tournament’s top goaltending award from the International Ice Hockey Federation (IIHF) directorate. 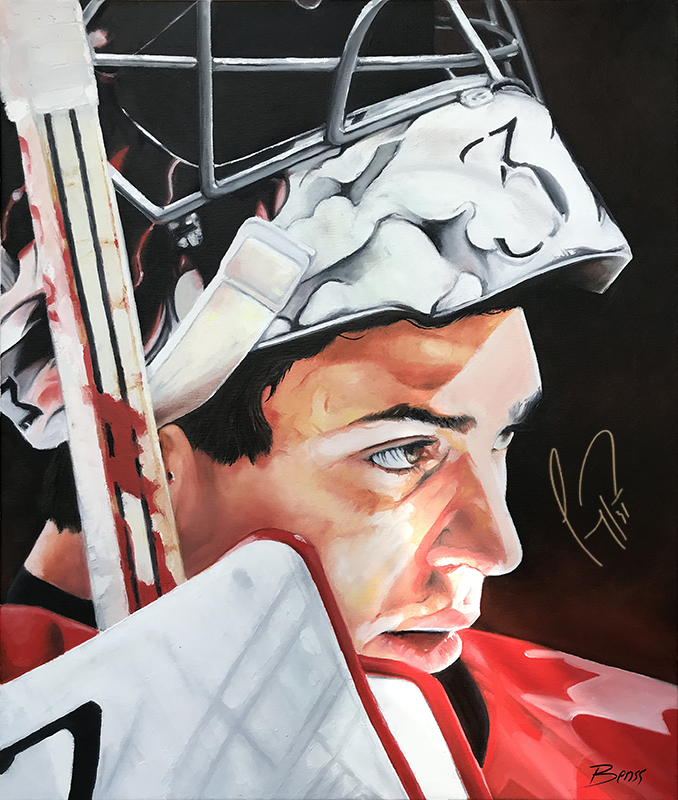 Ranked among the finest NHL goaltenders, this painting is to commemorate and honor his overall achievement in his hockey career.